Everyone has been raving about Salted Egg croissants, but have you tried LAVA Salted Egg Cheese Tart before? 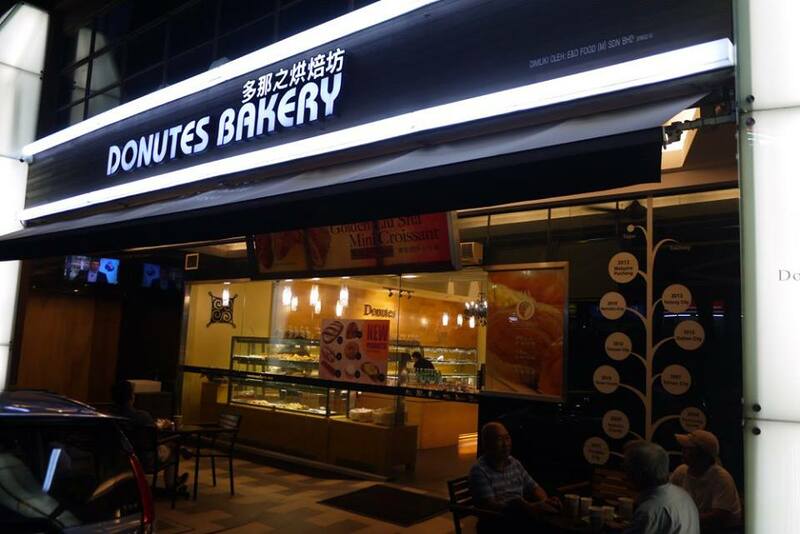 If you have not, it’s about time to try it out at Donutes Coffee & Cake Baking, Puchong Jaya branch. If you haven’t know about Donutes Coffee & Cake Baking, it is actually a brand from Taiwan for over 25 years of experience in cakes and bakery industry. As of today, Donutes Coffee & Cake Baking has introduce specialty coffee, tea series, cakes, bread, and ice cream under a pleasant and relaxing environment. Coming to town on the 6th May 2017, the No. 1 LAVA Salted Egg Cheese Tart from Donutes Coffee & Cake Baking will be having a buy 1 box, free 1 box promotion on that day and also 7th May 2017. So, mark your calendar to get them at Donutes Coffee & Cake Baking, Puchong Jaya branch next weekend OK.
Donutes LAVA Salted Egg Cheese Tart has a mousse-like cream cheese and ‘melt in your mouth’ filling surrounded by pastry. We never knew that cheese and salted egg are so compatible in taste and texture. 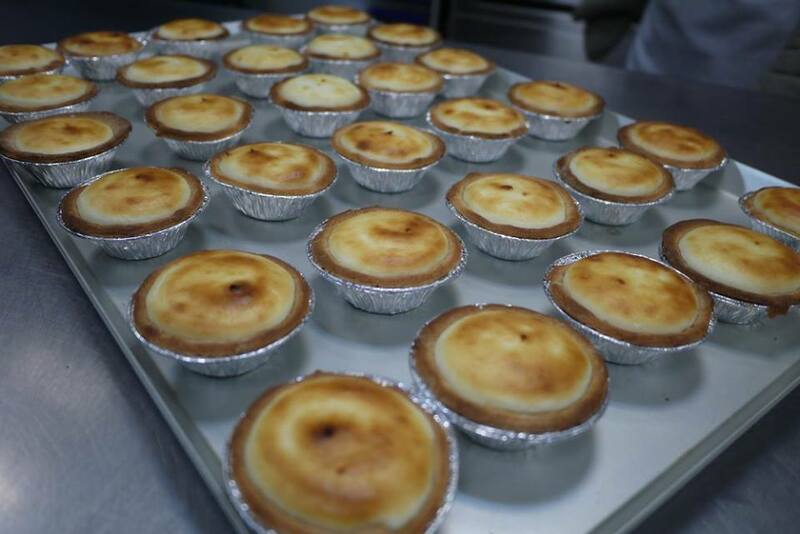 We love its buttery and cheesy tart filling, they are simply delicious. 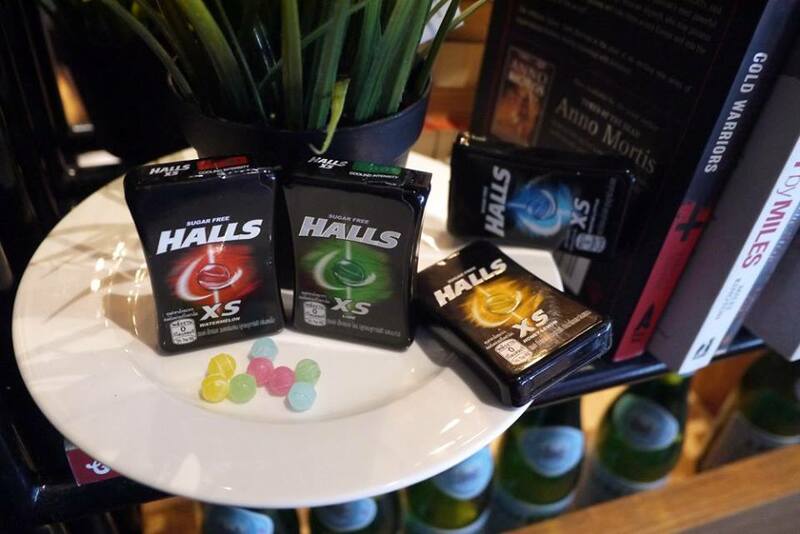 Calling all TRANSFORMERS fans! 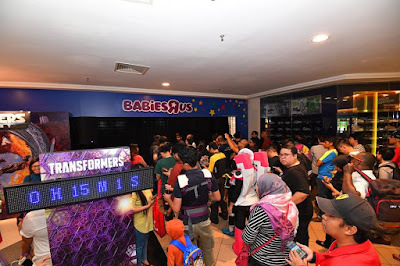 In conjunction with the TRANSFORMERS: THE LAST KNIGHT movie release in June, Hasbro Toy (Malaysia) has once again organised the exciting Midnight Madness Event to first launch movie tie-in merchandise. The exclusive movie tie-in merchandise was revealed to scores of dedicated fans at Toys “R” Us in Mid Valley Megamall when the clock struck midnight. On top of being the first to get hold of movie tie-in merchandise, fans were also able to get hold of limited edition Deluxe and Voyager class figures as gifts-with-purchase. Before the doors opened, fans were treated to a meet-and-greet session with TRANSFORMERS characters Optimus Prime and Bumblebee. Ten lucky winners also walked away with TRANSFORMERS: THE LAST KNIGHT merchandise by participating in the Facebook Photo Pose Contest. 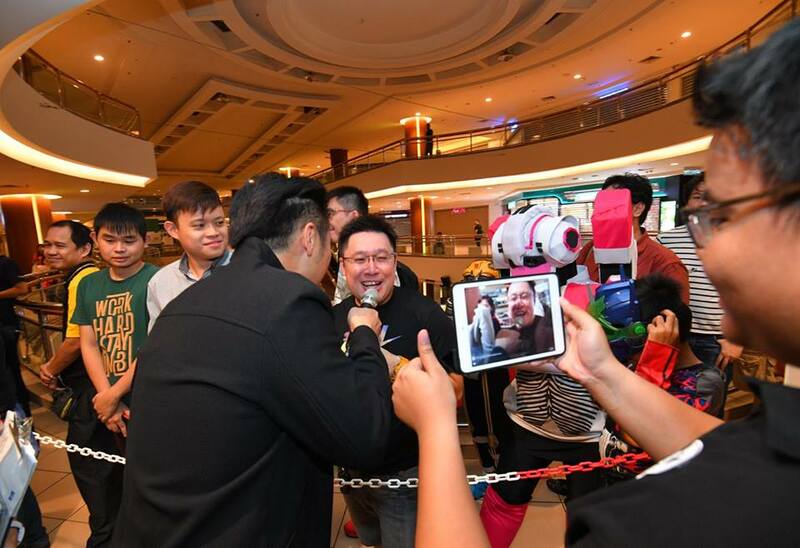 In addition, Toys “R” Us went on Facebook Live with the crowd and those featured won prizes on the spot just by participating in the interactive session. Prior to the release of Hasbro’s first wave of toys and consumer products inspired by the TRANSFORMERS: THE LAST KNIGHT movie, the REVEAL YOUR SHIELD programme kicked-off worldwide on 25 April on TRANSFORMERS’ digital and social channels with a week’s worth of exclusive content inspired by TRANSFORMERS: THE LAST KNIGHT, including a video featuring a new action figure, BARRICADE. Part of the activities that were carried out at the Midnight Madness Event was the Facebook Live session whereby participants get to win prizes by answering a simple question for those watching on Facebook. 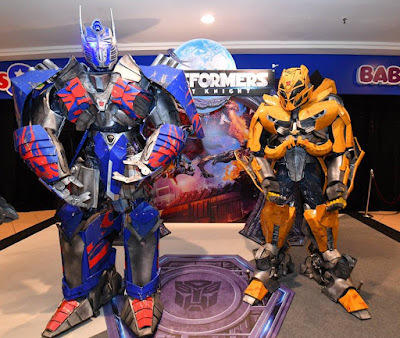 Not only that, the TRANSFORMERS have found their allies as Influencers declared their allegiance to the Autobots or Decepticons on their social channels throughout the weeks of celebrations leading up to the release of the movie. 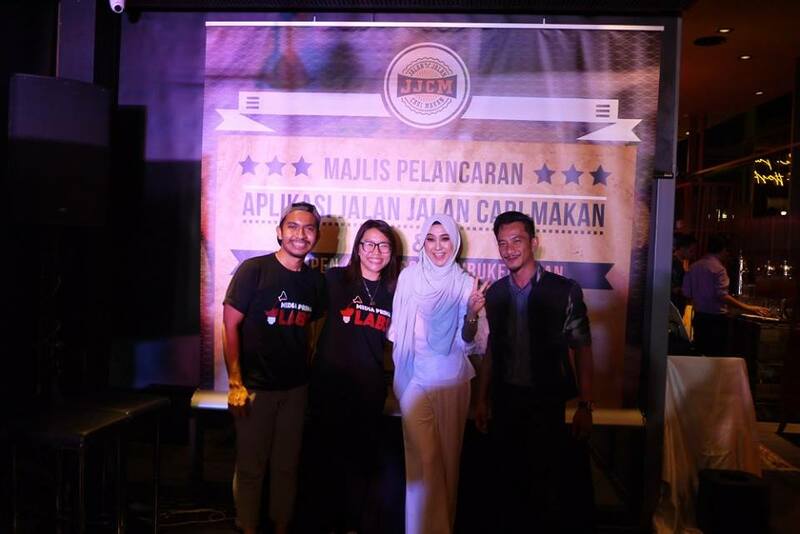 Congratulations to Jalan Jalan Cari Makan (JJCM) App Launch last week at Jibby East KL. The Jalan Jalan Cari Makan is a mobile app that hosts reviews of the newest and most popular eateries in town, enables users to participate by posting their own reviews and take advantage of the exclusive discounts on offer. This app caters to all palates and offers many value-for-money options within each culinary range. We all know that us, Malaysian love to eat. From street food, to restaurant and fine dining. Jalan Jalan Cari Makan mobile app is great for us to get the latest information on everything about good food. 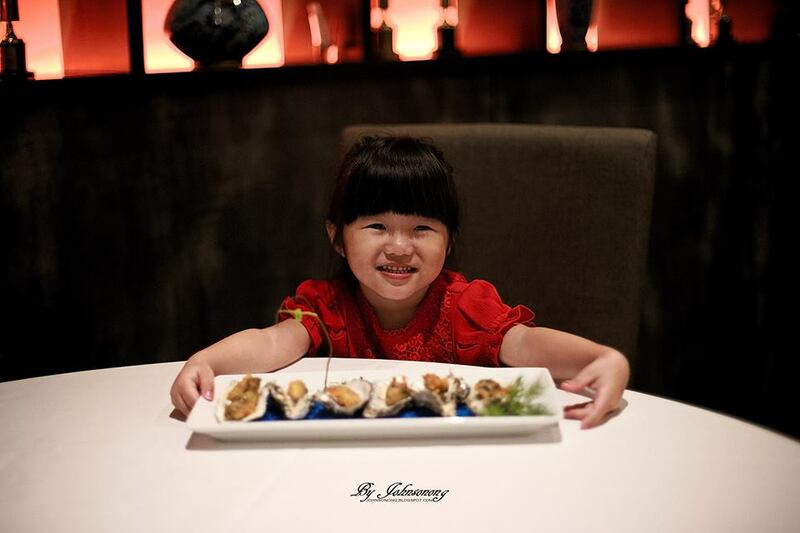 Not only that, JJCM users could enjoy up to 70% discount with ‘Offpeak Deals’ at selected restaurant. It will be updated every day so do login to the app to enjoy latest fantastic discounts. 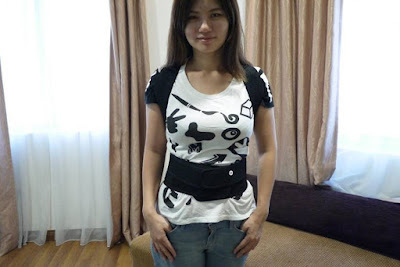 Users could also turn on their GPS to locate the restaurant around their location. 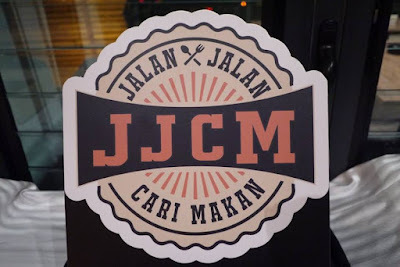 For example, if you are at Damansara, the GPS function would list the location of restaurants that is recommended by JJCM in Damansara. So, download the Jalan Jalan Cari Makan (JJCM) App from Apple Store and Play Store on your smart phones now. Whenever we visit Hong Kong, we will surely have some Hong-Kong-style prawn wonton noodles. 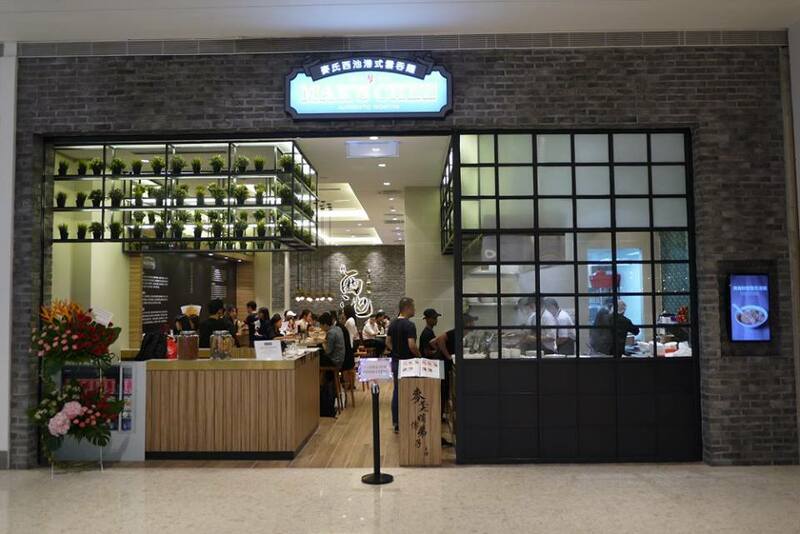 We are happy to share with you that Mak’s Chee, the casual quick restaurant serving authentic Hong-Kong-style prawn wonton noodles, famous with its 100-year old recipe from the Mak’s Family, is set to open its second outlet at Pavilion Elite, a new wing of Pavilion Shopping Mall to the public on 1st May, 2017 following the huge success of its first outlet which was opened at 1 Utama last year. We no longer need to fly all the way to Hong Kong for the yummy wonton noodles, yay! 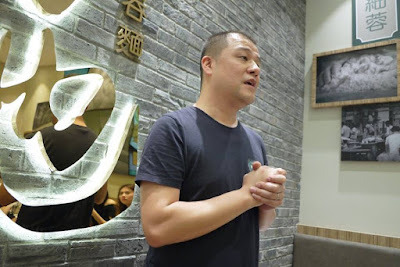 In conjunction with the opening of its second outlet, Mak’s Chee is introducing a new, delectable and authentic limited time promotional dish - Swiss Chicken Leg, to tantalise the busy working professionals, tourists and families alike. According to Mr. Gary Crestejo, Managing Director of Mak’s Chee, Swiss Chicken Leg is a specialty of Hong Kong food culture. It is slow-cooked with sweet soy sauce and a variety of herbs and spices. 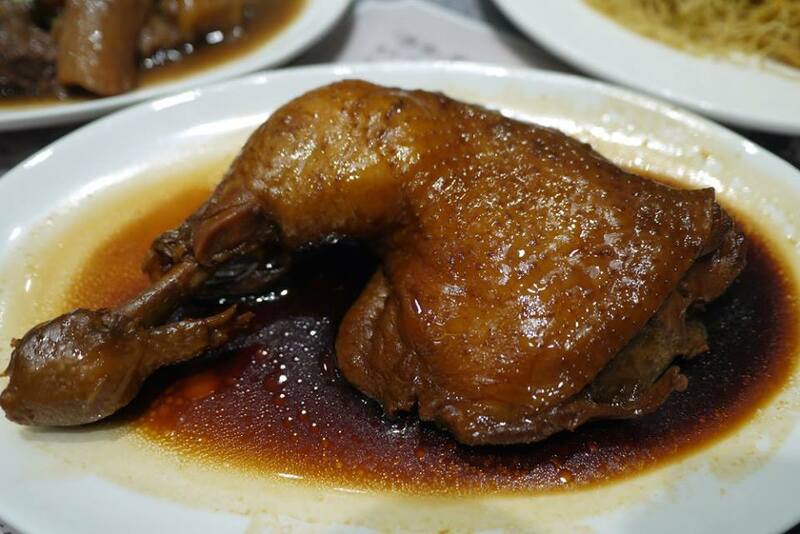 Despite the name "Swiss," it is unrelated to Switzerland, and indeed a local Hong Kong recipe. Laneige Malaysia’s (Laneige) commitment to provide rural community with access to clean water is being manifested through its continued collaboration with Global Peace Foundation (GPF) to carry out the fourth installation of its corporate social responsibility (CSR) initiative, ‘Waterful Sharing Campaign’. In resuming 2016’s efforts, the beneficiaries of Kampung Binjai, Pahang and Kampung Ulu Geruntum, Perak, will receive an additional four (4) water filtration systems each, in addition to the previous installments; to aid the increasing demand for clean water in the village. 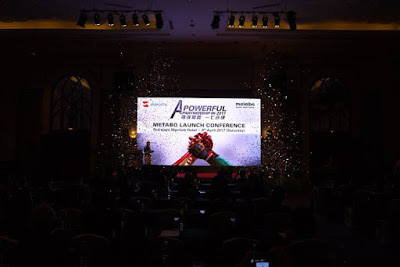 Inclusive of this year’s chapter of the initiative, a total of 880 residents across FOUR (4) villages including the newly identified Kampung Padang, Pahang as well as Kampung Poh, Perak will benefit from this annual CSR campaign. “Presently, both communities in these villages are still deprived of provision to clean water for their daily livelihood, leaving them with the only option of consuming water from river or ponds. 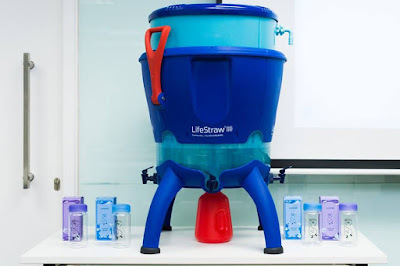 This in turn will result in the rise of waterborne diseases such as diarrhea and skin related problems. “Additionally, infants, young children, pregnant women, the elderly, and people whose immune systems are compromised, may be especially susceptible to illness from some contaminants present in their only source of water, ” explained Dr Teh Su Thye, Chief Executive Officer of GPF. 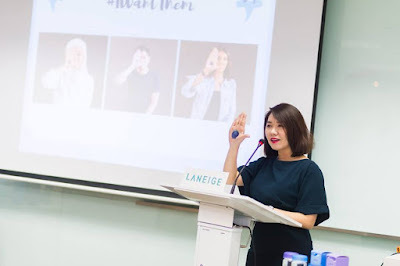 Ms. Foong Winnie, Brand General Manager of Laneige Malaysia delivering her welcoming address at the Waterful Sharing Campaign CSR media launch at AmorePacific Malaysia office recently. 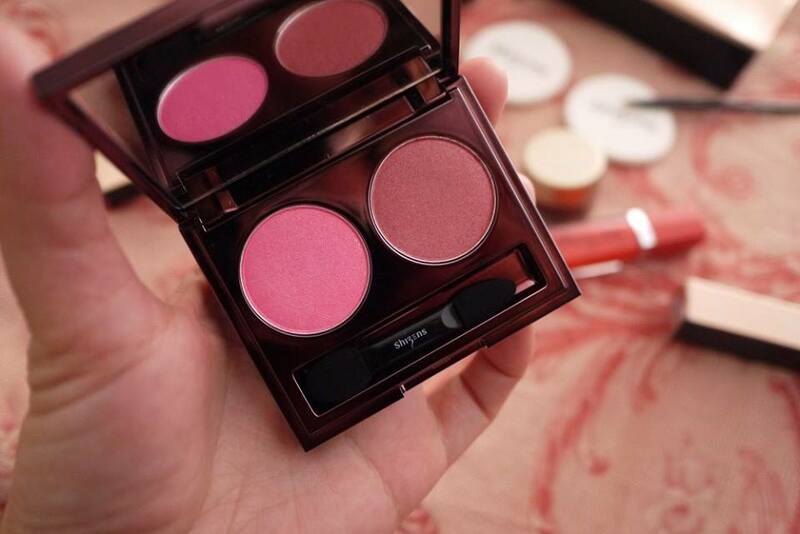 I received these beautiful makeup products from Mary Kay Spring 2017 Collection not long ago. In fact, I fell in love at first sight with the lovely palettes that are best for the Spring Summer season. I can’t wait to play with the makeups and share with you here. 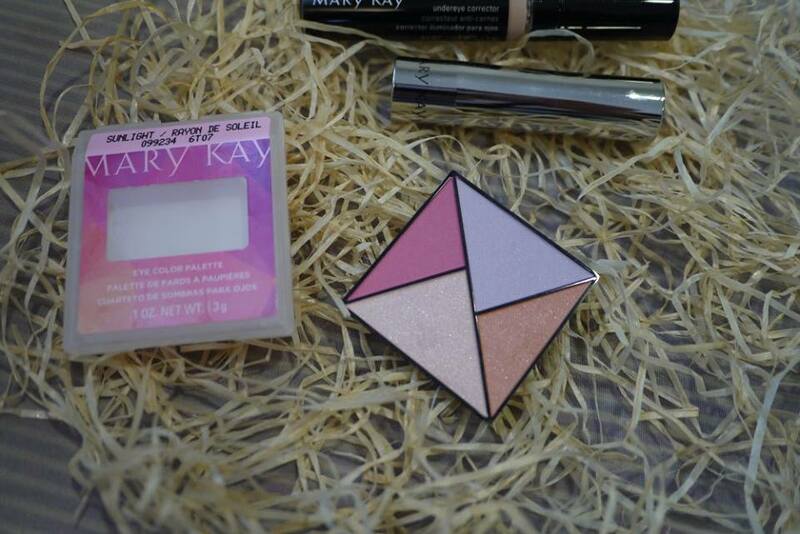 Firstly, the very beautiful limited-edition Mary Kay® Eye Color Palette. As a part of the Light, Reinvented Collection from Mary Kay, the collection celebrates a reimagined look at the season's storied hues through prisms, reflections and light. Each eye color palette has four gleaming shades that stand strong on their own or can be worn together for a luminous ombré effect. The on-trend hues speak to the season's penchant for unexpected, reimagined color combinations. 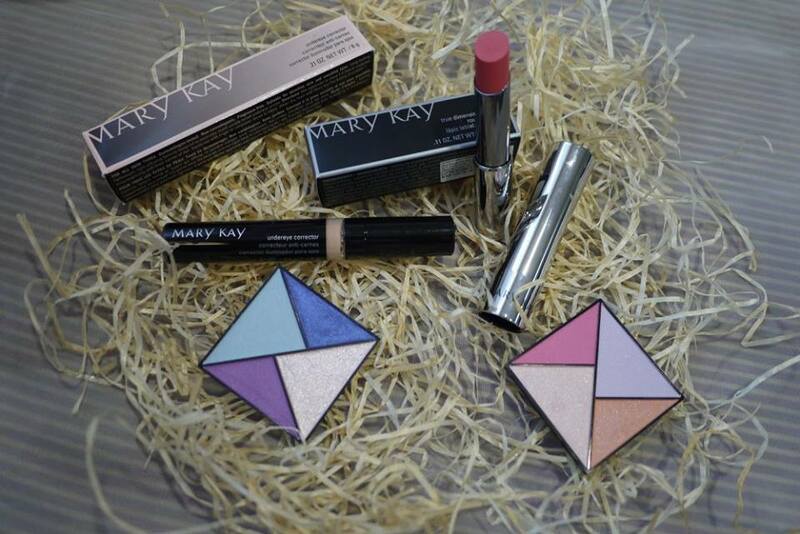 The NEW limited-edition Mary Kay® Eye Color Palette is available in 2 shades below. 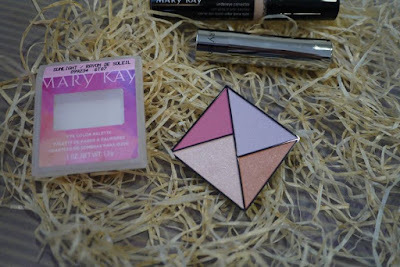 Mary Kay Eye Palette Sunlight, which has the sweetest pink and pastel shades in one palette. 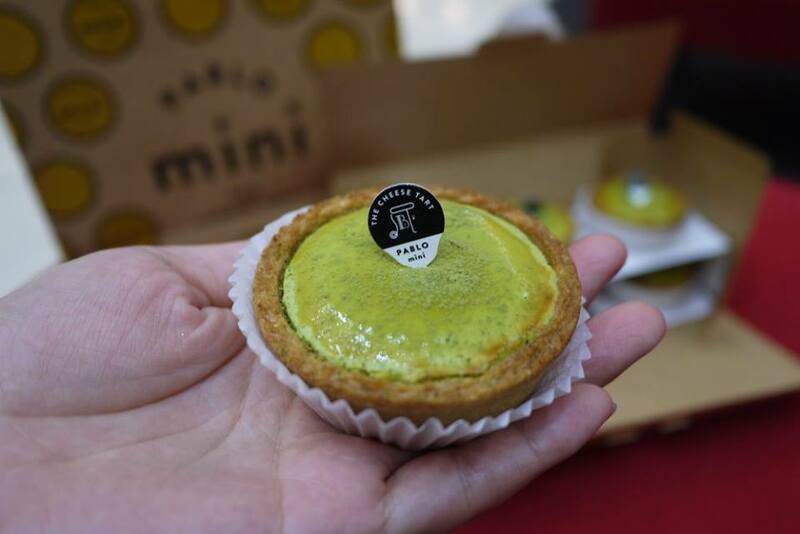 Attention to all Pablo cheesetarts lovers, Pablo Malaysia has launched their mini Matcha cheese tarts which is available from 1st Apr 2017 onwards. 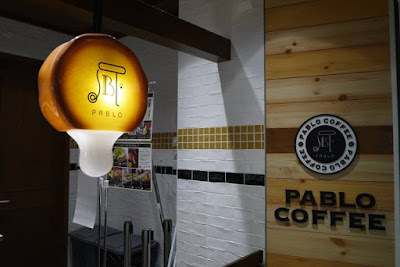 We all know that Pablo cheese tarts are to die for, aren’t we? 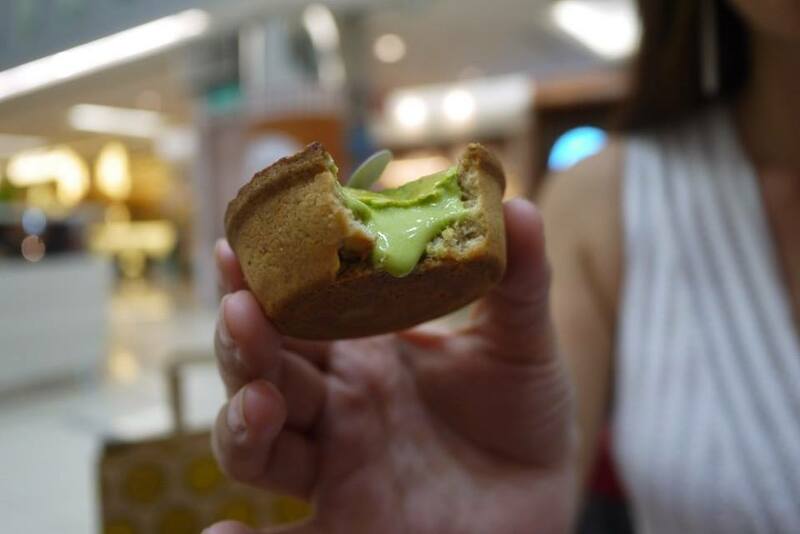 The mini Matcha cheese tarts is especially not to be missed by matcha and cheese lovers. The crust was crunchy, and the filling was so creamy and decadent, simply delicious! Some love to eat it hot because the middle was oh so perfectly gooey, however it taste great too when chill as the filling is creamy but not too runny. I love laser treatment, as it is one of the fastest way to get rejuvenate and healthy skin. I am glad to find out that an innovative procedure using dual wavelengths and ultra-short laser pulses to improve skin tone and complexion - The new PICO Genesis™ Treatment with enlighten™ by CUTERA which was launched in Malaysia on 12th Apr 2017. 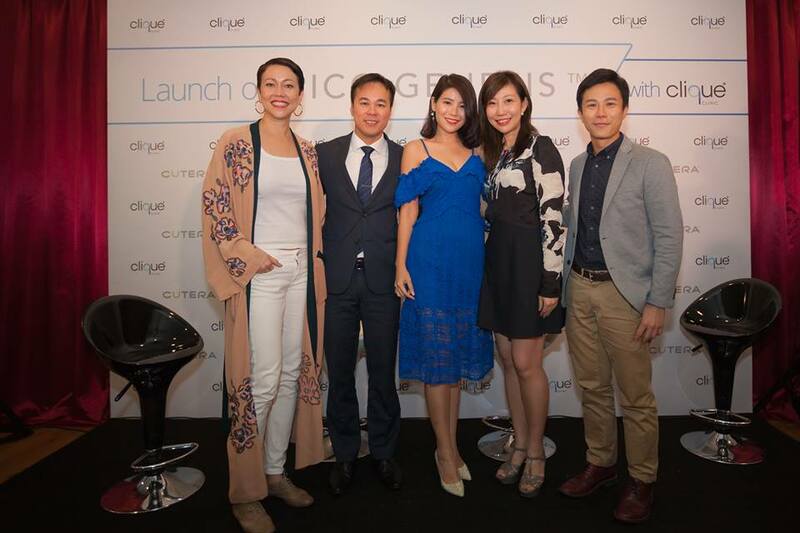 Celebrities Bernie Chan, Amin Hayat and Emily Lim were at Clique® Clinic, Malaysia’s leading medical aesthetics clinic to grace the launch of PICO Genesis™ Treatment last Wednesday. CUTERA, one of the World’s leading providers of laser, light and other energy-based medical aesthetic systems for practitioners worldwide presents the PICO Genesis™ which is an innovative technology that uses the enlighten™ picosecond laser system to treat pigmentary skin concerns. 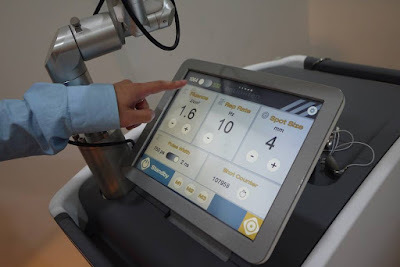 Clique® Clinic has bring in this latest technology to Malaysia together with Skin M.D., a leading distributor of aesthetics equipment, focusing on medical aesthetic lasers and devices in South East Asia. Akshaya Tritiya is a very significant day in the Hindu Calendar as the word Akshaya means ‘never diminishing’. And what better way to inaugurate new ventures than on this auspicious day? In 2017, Hindus worldwide will celebrate Akshaya Tritiya on the 28th of April. Akshaya Tritiya, is a Hindu and Jain holy day, that falls on the third day of the bright half of Vaishakh month (April-May), when the Sun and Moon are in exaltation; they are simultaneously at their peak of brightness, which happens only once every year. It is one of the four most important days on the Hindu calendar. Not only that, Akshaya Tritiya is believed to bring good luck and success. Most people purchase Gold on this day, as it is believed that buying Gold on Akshaya Tritiya brings prosperity and more wealth in the coming future. 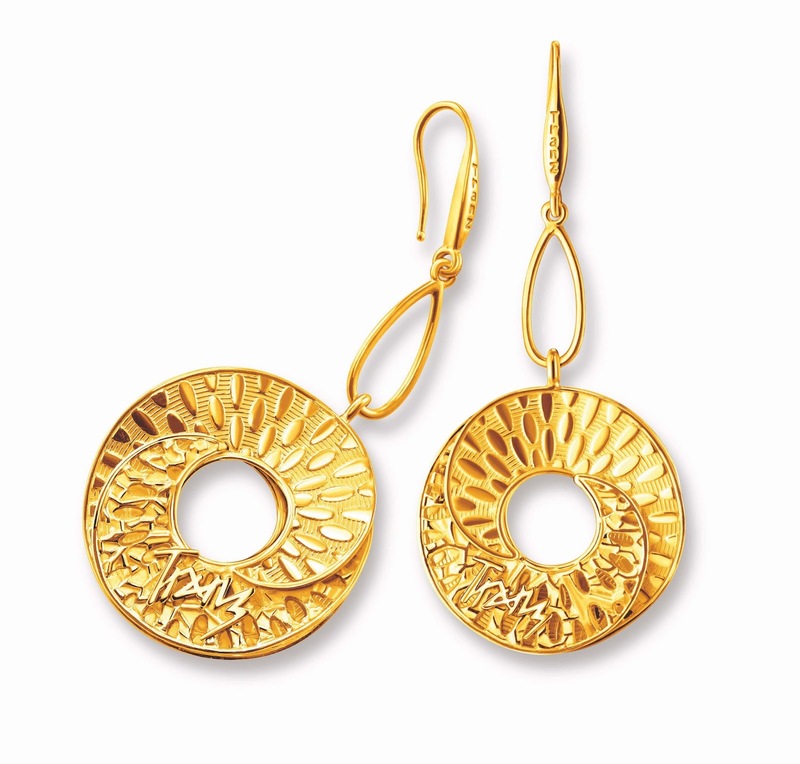 Gold and gold jewellery bought on this day is said to never diminish and would continue to grow or appreciate, as reflected in the word Akshaya itself. Hindus celebrate weddings, begin new business ventures, and even plan long journeys on this day. Mark the golden day of good fortune and success in your business, career and relationship this coming 28th April by wearing and buying gold bars as well as these exquisite pieces from Tranz and the new Bombay Collection from Poh Kong. My family loves Dim sum, a traditional Chinese cuisine prepared as small bite-sized portions which is tasty and easy to eat. 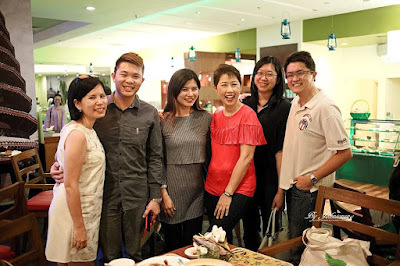 We are happy to find out that Dynasty Restaurant which is located at Renaissance Kuala Lumpur Hotel has converted into a pork-free restaurant recently. Guests would be delighted to discover innovative and exciting flavors creatively put together by Award-winning Executive Sous Chef Kok Chee Kin. A wide selection of authentic and delectable Cantonese delicacies are available from the A La Carte Menu and a complete range of delicious Dim Sum to please every palate. 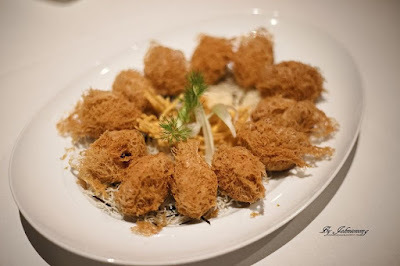 Let’s look into some of the items you could get from Dynasty Restaurant, Renaissance Kuala Lumpur Hotel. 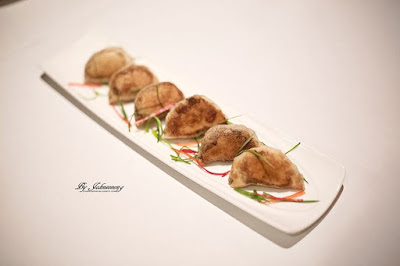 Pan Seared Shanghai Dumplings – We love the huge amount of filling in Pan Seared Shanghai Dumplings. 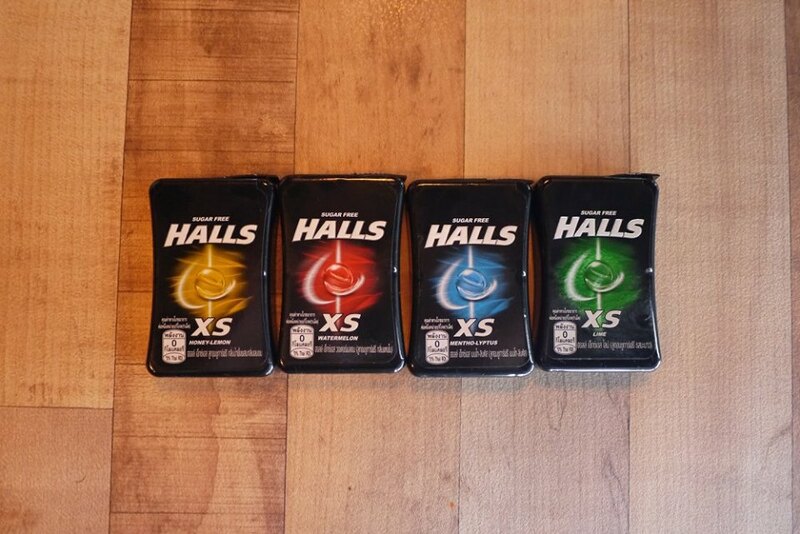 It taste crispy outside and juicy inside. Golden Yam Puff – My favourite dish of all, the Golden Yam Puff is so pretty with golden brown crispy skin, and tasty meat filling inside. Shizens has launched its VISAGE Collection that help ones achieves Natural Beauty by pampering our skin from inner to outer. Shizens VISAGE Collection is consists of 3 Shizens skincare products and 6 makeup products to enhance your look without much effort. 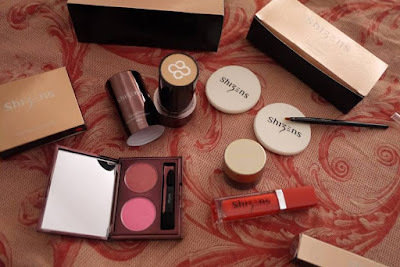 In today’s post, I am going to share with you the makeup range from Shizens VISAGE makeup Collection which I have tried recently. 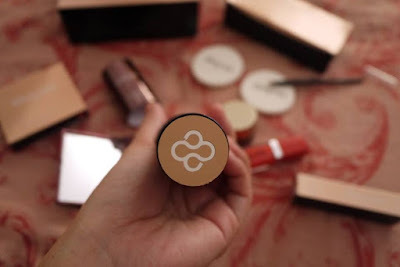 Step 1: Apply Natural Pore Nutrient Foundation PRO on whole face as a make-up base. This extremely light weight, sheer and silky foundation is 100% talc-free to create make-up against fine lines and pore imperfection. The essential moisture essence in this product imparted with Vitamin E further pamper skin with a touch of moist and clean sensation. Shizens Natural Pore Nutrient Foundation PRO SPF 50 is made in Korea, it comes in 21g tube for RM 242. Step 2: To achieve an alluring eye makeover with Shizens brand new Aqua eyeliner, followed by Hue-duo eyeshadow – Mocha Glow. Aqua eyeliner is a cushion type liquid eyeliner which is smudge-proof and long-wearing up to 12 hours. 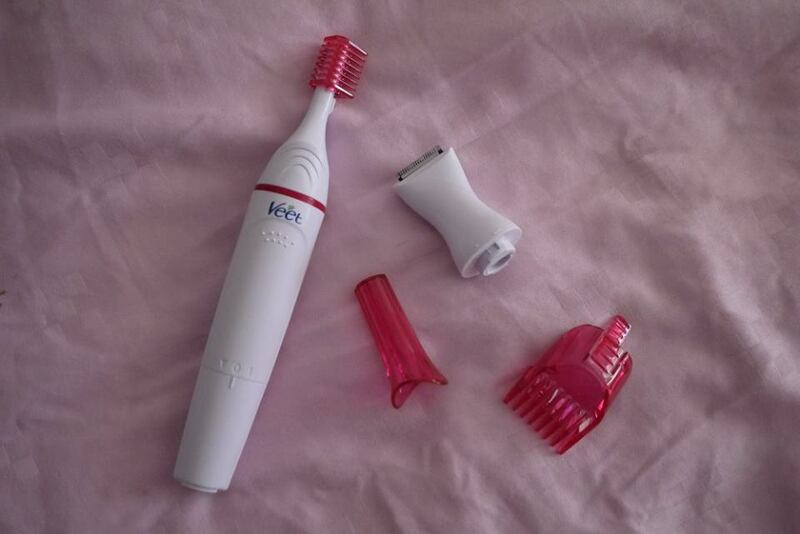 Its lightweight and quick-drying formula allowing you to glides on to lids in a fluid stroke. The cushion sponge allows the comprised brush to fully saturated in rich and highly pigmented liquid eyeliner for smooth and even application. 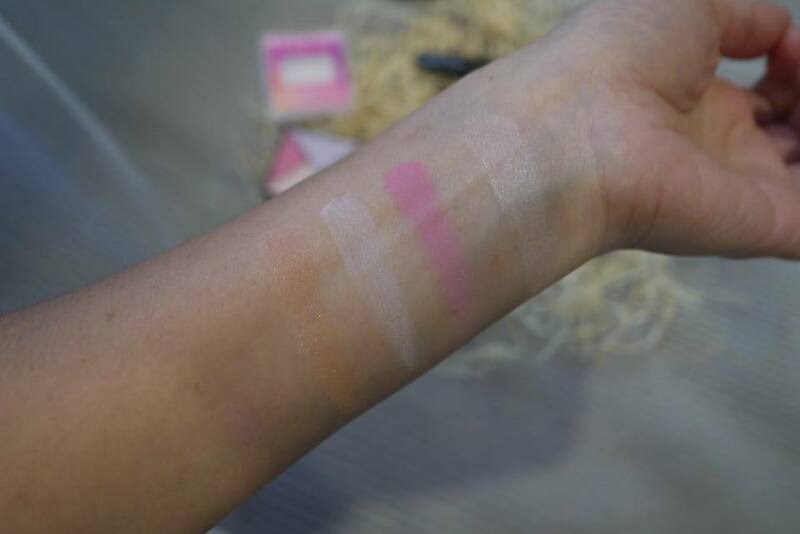 Made in Korea, Shizens Hue-duo eyeshadow is retails at RM 136 while Shizens Aqua eyeliner is comes in 4g tub and retails at RM 95. As a beauty junkie, I trim my eyebrow very often, well at least once a month. I used to visit the brow bar to get my eyebrow trim by the expert, but it cost not cheap, more than RM 50 per visit. Imagine how much I have paid for the services over the years. 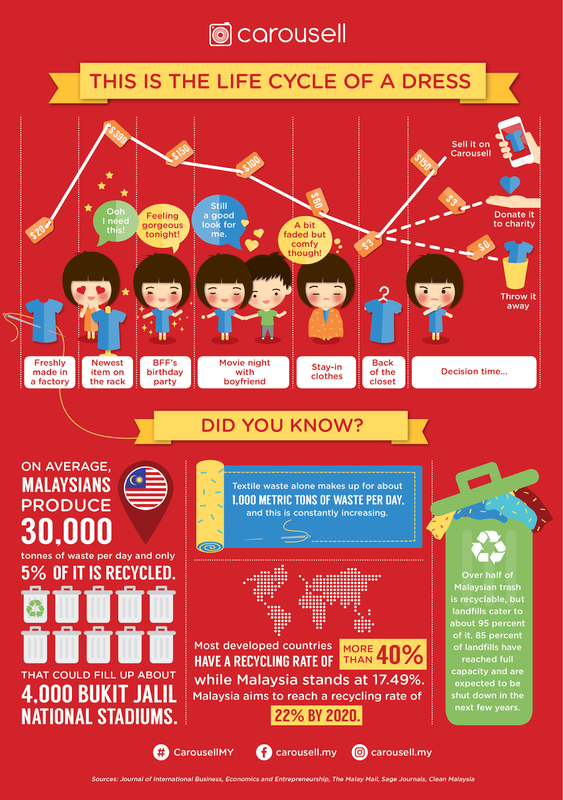 I am thankful that Veet has launched its Sensitive Touch last 2 months ago in Malaysia. As you can read from my previous blog poston Veet Sensitive Touch launch, you would know that it is agame-changing device that comes with various detachable heads to facilitate accurate and gentle hair trimming at sensitive body parts, such as the eyebrows, underarms and bikini lines. The cutting blades are specially designed to never touch your skin during usage, hence no risk of cuts. 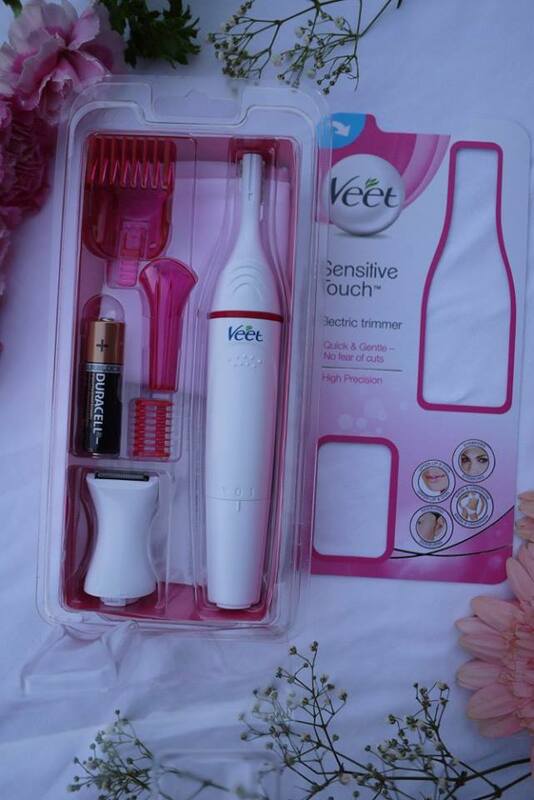 I like the chic and sweet colors of Veet Sensitive Touch, the pink and white device is so cute to be used. A powerful tool made our life easier, don’t you agree? 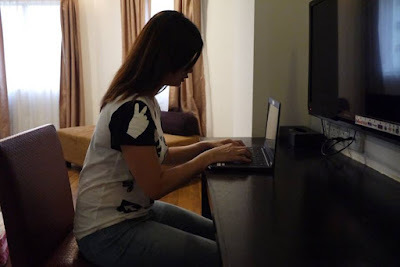 Growing up in a carpenter’s family, I know the essential of using powerful and durable tools in order to get the works done fast and precisely. 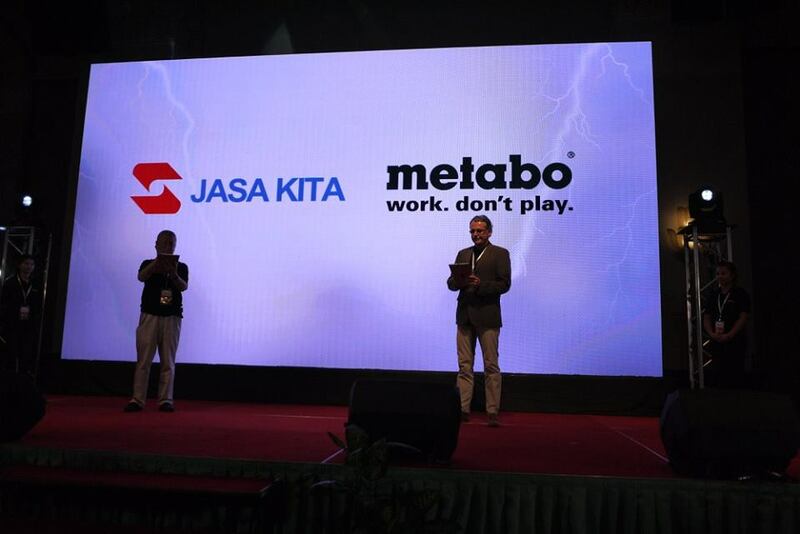 Recently, we were honoured to witness the powerful partnership between Jasa Kita and Metabo. To give you some background of Jasa Kita, it is a brand with more than 40 years of establishment, which has earned a reputation of reliability and trust among its customers and business associates. 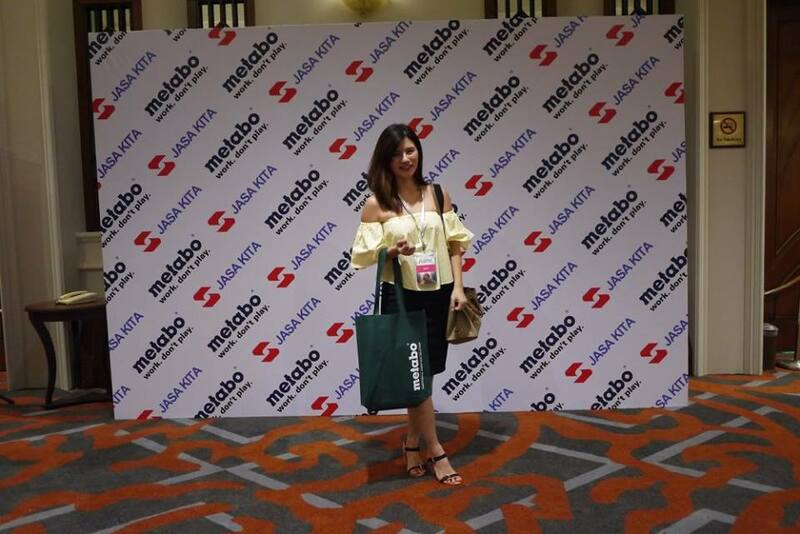 Metabo, on the other hand is a manufacturer of high quality power tools for professional users with an extensive range of professional tools and accessories. This is indeed in line with Jasa Kita’s aim to provide its users with premium high quality tools. 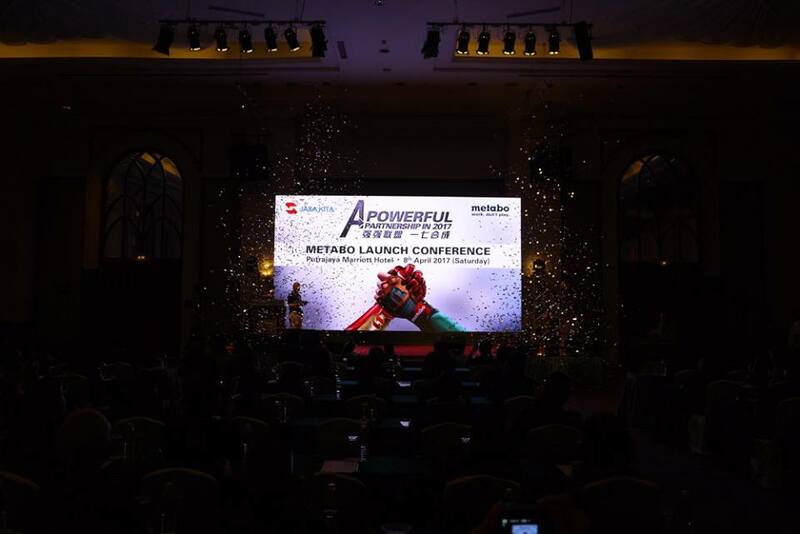 We witnessed the grand launch of Metabo in Malaysia that held at Putrajaya Marriot Hotel last Saturday. The sacred month of Ramadhan starts from Friday, 26th May 2017 this year. It is a time for reflection and celebration, also a time to be spent with friends and family. 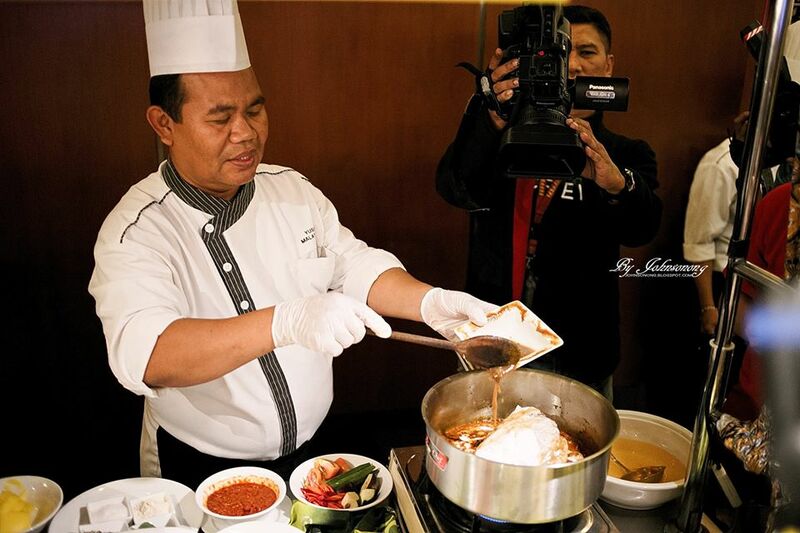 To usher in the holy month of Ramadan this year, the chefs of Berjaya Times Square Hotel, Kuala Lumpur has skilfully put together a sumptuous buffet spread with more than 200 authentic local cuisines, promising an exceptional dining experience for all. True to the bazaar theme this year, the casual all-day dining outlet, The Big Apple Restaurant at level 14 will be transformed into a bazaar. 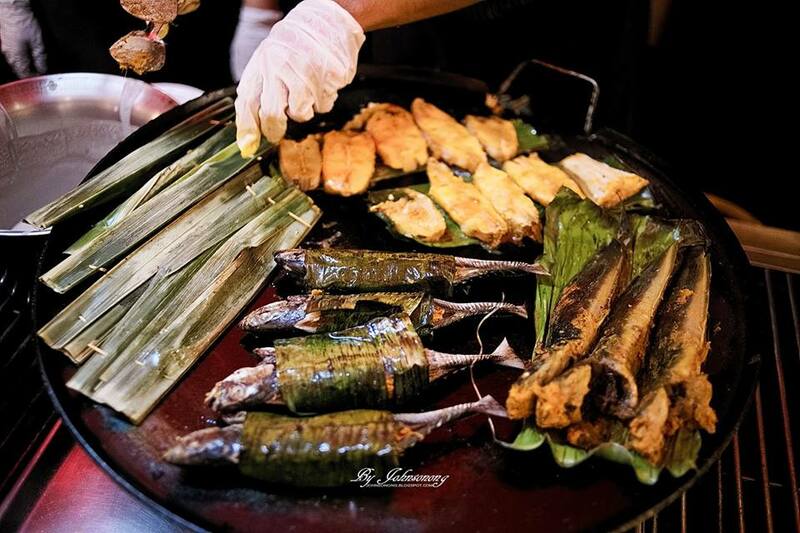 The outlet will feature the classic Ramadhan bazaar stalls reminiscent of those found in popular outdoor bazaars around Malaysia during the festive period. “Guests will be able to experience first-hand what the contemporary Malaysia food bazaar is like in Malaysia during Ramadhan. We strive to emulate the lively atmosphere of a bazaar and give our guests an authentic and memorable dining experience. 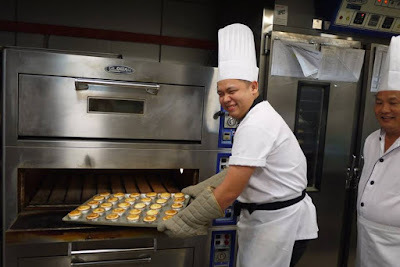 With over 200 dishes, guests will be able to indulge just like they do at the outdoor bazaar but this time, they can enjoy their food in a more comfortable setting,” said Mondi Mecja, Area General Manager of Berjaya Times Square Hotel, Kuala Lumpur. Aside from the lively and inviting bazaar atmosphere, Berjaya Times Square Hotel has also prepared a special Kedah Claypot Fish Head Curry, lovingly prepared by the hotel’s Sous Chef, Chef Yusoff using his grandmother’s family recipe. Utilizing only the freshest ingredients and aromatic spices, the Claypot Fish Head Curry is guaranteed to be the highlight of the entire buffet dinner. 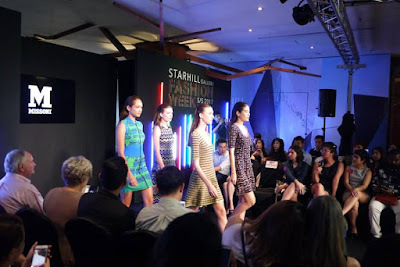 The annual Starhill Gallery Fashion Week was launched and taking place from April 12-15, 2017 at the Bukit Bintang’s ultimate luxury fashion and lifestyle retail destination, the Starhill Gallery. The 4 days fashion event showcase the latest collections from both International and local designer labels. 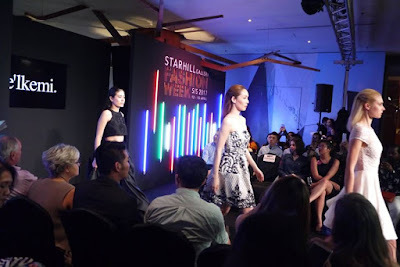 One of the hightlight is the debut of Australian luxe-label, ae’Ikemi by the award-winning fashion designer, Alvin Fernandez. During the opening night, Fernandez featured some 20 beautiful pieces from his latest Spring/Summer Reay-to-wear and couture collections. 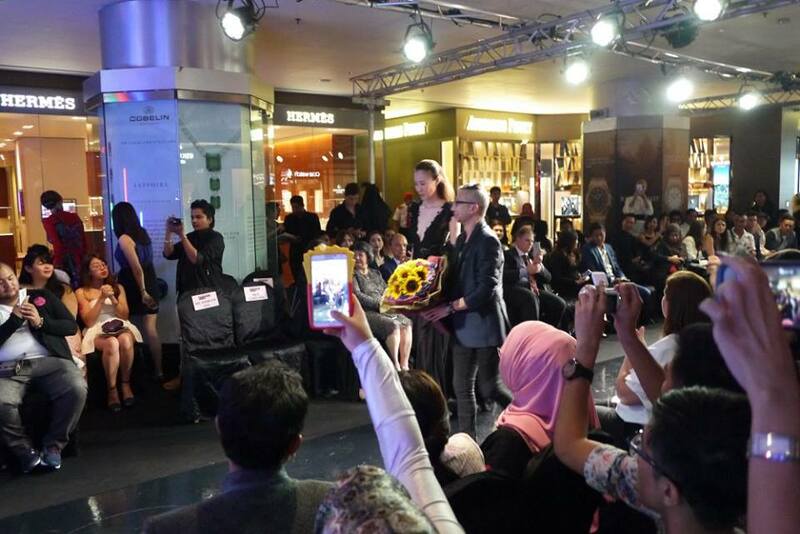 If you have missed the show, you could visit The ae’Ikemi Signature Store at Starhill Gallery’s Lot UG17, Adorn floow until 10 May 2017. Starhill Gallery Fashion Week S/S 2017 also features exclusive designer labels housed in Starhill Gallery; namely Valentino, Kenzo, McQ Alexander McQueen, M Missoni, Debenhams, Mita Tam Style Studio and iKarrtini. When it comes to taking care of our skin, I always believe that the most basic and important step is to deep clean our face. Imagine our skin that is block by dirty dust and oil produced by the epidermis for a whole day, it’s just like a car engine that is dirty things after running for a long day, yew..... Hence, I always double clean and even triple clean my face every day so that I can have Happy Skin 24 hours 7 days a week. 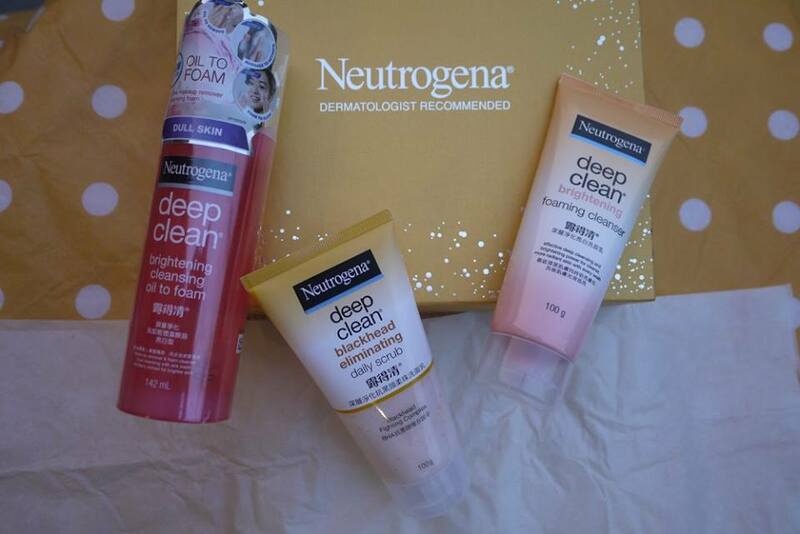 I am blessed to have find out the Neutrogena® Deep Clean Products which is a range of products for everyday use. Neutrogena® is a well known brand for many of us, it has been exist for a long time but it has always comes up with new innovative products. This time, I was given 3 of their deep clean products to try on. 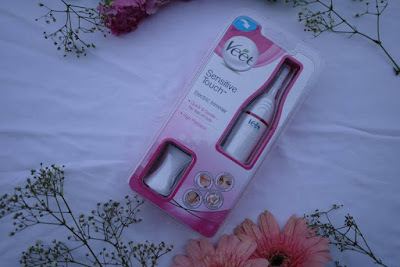 To be honest, I love to use all these 3 products to get my face clean but I will tell you which one is my most favourite at the end of this post too. (So if you only have limited budget, you know which to get). 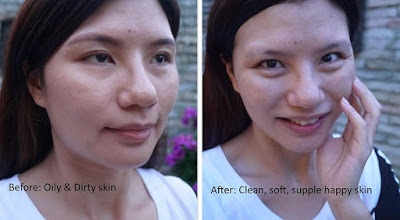 First, clean my makeup and sunblock with Neutrogena® Deep Clean Brightening Cleansing Oil to Foam. 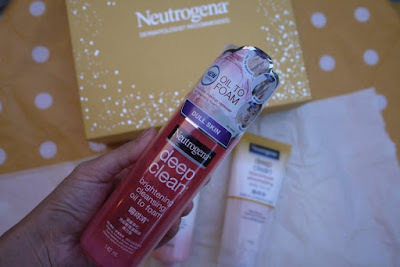 I have dull and uneven skin tone hence with Neutrogena® Deep Clean Brightening Cleansing Oil to Foam is all I need for a brighter skin. It is a dual cleanser that serves as a make-up remover and foam cleanser.